I have to admit, I'm slightly jealous of you petite women who can boast of having extra tiny feet as well. I have a very average size 7 foot - the size that's usually sold out by the time most shoes hit the sale rack. That said, I imagine that those of you with smaller-than-average feet might want the rest of us to walk a mile in your shoes - literally! That would mean enduring the frustration of shopping in stores that don't even carry one's size! Well, have no fear, ladies! You have stumbled across your own virtual shoe emporium for shoes in sizes 5.5 and under! So take a leisurely stroll down the aisles of store after store and be pleasantly surprised that there really are cute, comfortable shoes made for your petite feet ... so you can look nothing short of amazing! Note: Site descriptions and logos are copied directly from each website. Petite shoes are the rule, not the exception, at Giordano's. The store is devoted exclusively to women who wear shoe sizes 4-5½ medium and seek fashionable footwear to compliment their wardrobes. Giordano's has one of the largest selections of designer footwear in hard to find smaller sizes, with a vast collection of flats, heels, loafers, boots and sandals from favorite designers. Since 1981, New York's Giordano's has become a recognized leader in providing fashionable footwear to. 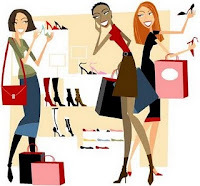 . . women who have difficulty finding shoes in sizes 4-5½ medium. Note: This store may have just recently gone out of business - a real loss for petite feet everywhere! DUO [has] finally dispelled the high street one-size-fits-all footwear theory and we’re changing the way women shop for footwear forever. We’ve worked our socks off to create a collection of beautiful women's boots and shoes that don’t cost the earth, and will fit you better than anything you’ve ever worn before. We’ve listened to you, our customers and applied over 30 years of our experience to perfect the incomparable DUO fit. We take enormous pride in our innovation and individuality, and we work with skilled craftsmen and small factories that put great care into hand finishing superb quality women's boots and shoes. Free shipping BOTH ways, 365-day return policy, 24/7 customer service. Millions of men's shoes, women's shoes, girl's shoes, boy's shoes, handbags, etc. Meet Piperlime, the shop for women's shoes, handbags, apparel, and jewelry. We're your insider's guide to the top trends of the season. Welcome to 6pm.com, your online source for shoes, apparel, and accessories. Find great deals on all of your fashion needs at our one-stop shop. From shoes & accessories for an evening out, or gear for jogging, 6pm.com carries what you need for any occasion. We are your Designer and Athletic online warehouse. We find great deals on shoes, apparel, and other great products and we pass the savings onto you. We hope you find what your looking for! Sizes range from 2 to 5½ Medium or Wide and are specially crafted for a woman’s foot. Regardless of your age or lifestyle, you will find styles to fit your fashion needs. Casual to sophisticated, low heel to high heel, Cinderella of Boston has a shoe to satisfy all your petite footwear needs. Welcome to Small Measures (United Kingdom). The specialist site to find shoes for small feet If you are here then the chances are that you are searching for ladies small size shoes and you probably have small feet that need either size 1 shoes, size 2 shoes or perhaps size 3 shoes (these equate to size 32 shoes, size 33 shoes, size 34 shoes and size 35 shoes). You are probably fed up with shopping in the children’s departments who, lets face it don’t exactly cater for petite size feet and their selection of women’s small shoes is virtually non existent if you don’t like pink flowers and bows. What you need is a small shoe company that specialises in fashionable styles for ladies with small feet. Varello footwear and handbags are manufactured in Argentina, a country where traditional leather-working techniques are still widely in use. All styles are hand-made and many are actually stitched by hand. 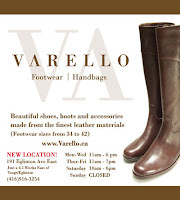 Varello footwear have uppers, linings, and soles that consist of the highest quality genuine leather. Our range of shoes, boots, sandals and handbags reflect both the contemporary and classic styles that epitomize world-renowned Argentine flair. I have very normal feet for my size too! I can do a solid size 6 in several brands ... so sizing isn't the problem. My problem with boots is the HEIGHT! Duo like you mentioned has some great boots for slim calves, but few options for short ones. Darn you short little stubby calves.